August 07, 2018 at 9:10 pm. 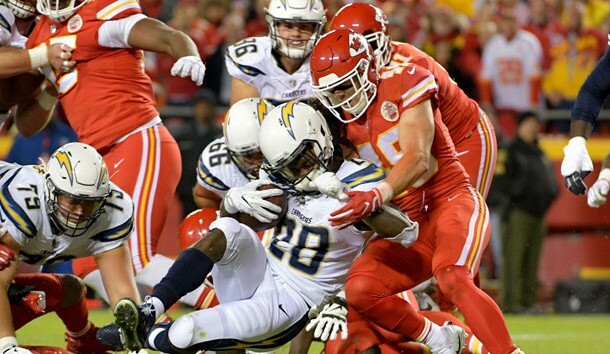 When Kansas City Chiefs free safety Daniel Sorensen injured his knee in a workout and the team feared he might have torn his anterior cruciate ligament, which would have sidelined him for the season. The good news for the Chiefs is that he did not tear his ACL, but did do enough damage that he might miss the early part of the regular season, Herbie Teope of NFL Media reported Tuesday. Sorensen missed Tuesday’s practice to get the medical diagnosis. The Chiefs don’t have much depth at safety. Sorensen is expected to start alongside Eric Berry, who is returning from a torn Achilles’ tendon and sat out Tuesday’s practice in a planned day off. Eric Murray and rookie Armani Watts were the first-team safeties in Tuesday’s practice.